So what’s going on with Jennifer Aniston and Justin Theroux? Last we heard, they called off their engagement and then were spotted out and about to dispel any rumors about their split. So what we derived from that is that they’re still ‘together’ [whether for real or for the media’s sake], but their engagement had been called off. So it’s now been multiple times that Justin has halted any movement on the wedding – it’s starting to make Justin look douchey and Jennifer look desperate, isn’t it? He clearly doesn’t want to get married to Jennifer, which goes in line with reports that he was just using her for her connections and fame. And she doesn’t want to break off their engagement either because she genuinely cares for him, or she doesn’t want to be alone when Brad [Pitt] and Angelina [Jolie] get married. Just kidding, I made up the last part – but I could totally see that being a reason. What do you guys think about Jennifer clinging on to the relationship while Justin is clearly not as interested? Or could it be that Justin is just commitment-phobe, and he’s having trouble making the final decision. If that was the case, methinks he wouldn’t have proposed at all. Let us know if you agree in the comments. 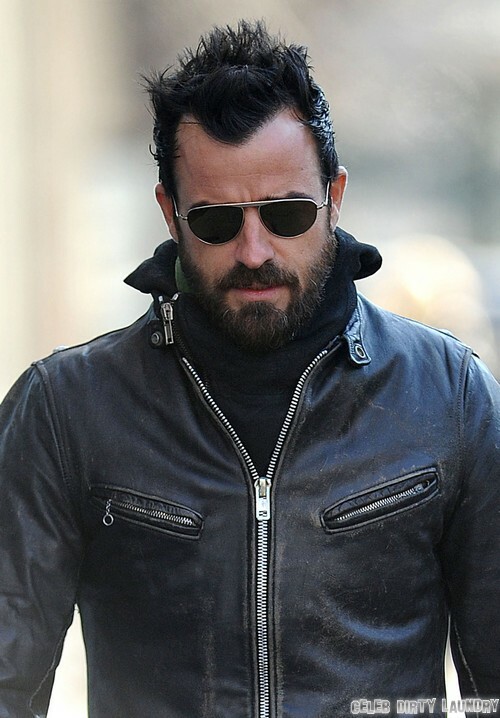 Jennifer Aniston And Justin Theroux Fight Split Rumors By Stepping Out In Public – PR Move or Genuine?